“In the future, our robot can carry drugs and deliver them to a desired location where they are most needed, much like a doorstep delivery." A new, tiny, “minimalist robot” can achieve a complex series of movements that should one day allow it to patrol the human body from the inside, according to researchers at the Max Planck Institute for Intelligent Systems in Stuttgart, Germany, who describe their work in a Nature paper. Not only does the caterpillar-inspired robot walk, but it also crawls, jumps, and even swims — moving seamlessly from a wet environment to a dry one as it climbs out of a pool. The researchers who created the plyable millirobot, which is about the same size as a grain of rice, were inspired by soft-bodied beetle larvae and caterpillars. Jellyfishes also lent some of their features to the little creature. But how does this elastic robot achieve such a variety of movements if it doesn’t have any sort of limbs? The German researchers used external magnetic fields to put pressure on magnetic particles within its body, changing its shape. It’s this deformation, the engineers say, that allows the robot to jump over obstacles, crawl through tunnels, and more. 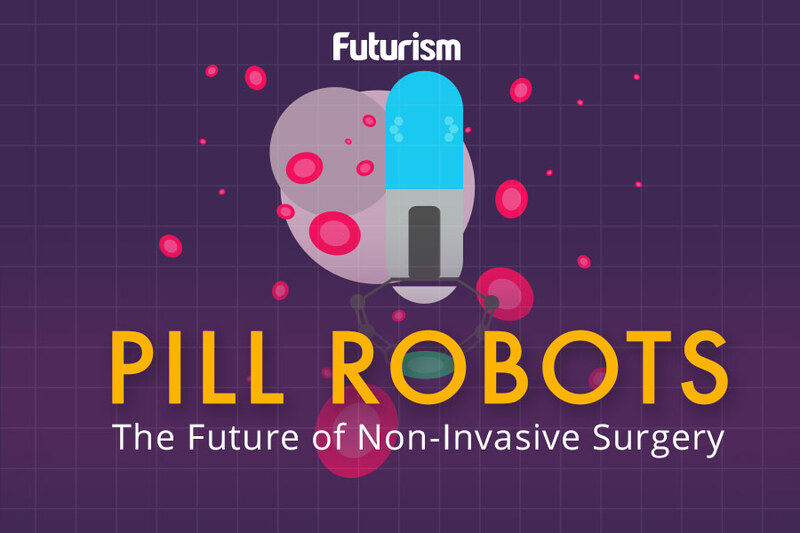 Such abilities will be put to the test once the minimalist robot is ready to move inside the human body and deliver drugs to targets that are otherwise difficult to reach without surgery. In order to do that, the tiny bot is also able to pick an object up, move it, and release it. To date, the robotic caterpillar has been only tested in an artificial stomach model and chicken tissue. But one day, the researchers hope, it could become a standard tool in healthcare.